How do you plan to use the materials? By clicking submit you agree not to alter Speak(easy) Howard materials and content except as made possible through the customizing function on this website. You also agree to allow Speak(easy) Howard staff to connect with you to learn more about how you are using the materials. 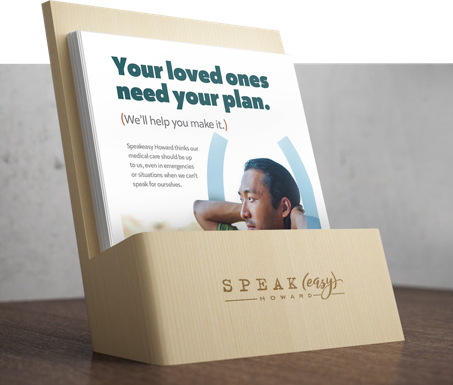 Speak(easy) Howard is working to make it easier for every adult in Howard County to talk about their preferences for medical care if they’re unable to speak for themselves and to name their health care agent. It’s work that we can’t do alone. 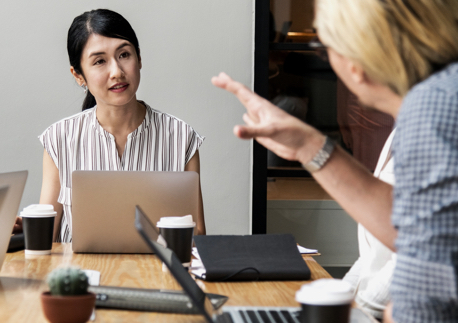 We rely on partners to help us spread the word about the campaign in the community, talk about it online, and host workshops to teach people how to share their preferences. Find the resources you need to do that and more below. Whether you want to host a workshop or simply share a social media post – there are plenty of ways to help us spread the word about the campaign. Download our partner guide to find the option that works best for you. Conversation workshops provide in-person guidance on talking to loved ones about wishes for medical care. Watch our webinar to learn how to host one, then download our presentation slides for use at your event. Customize Speak(easy) Howard handouts, posters, email content and social media images and share them with your audiences. Materials available in English, Spanish, and Korean. 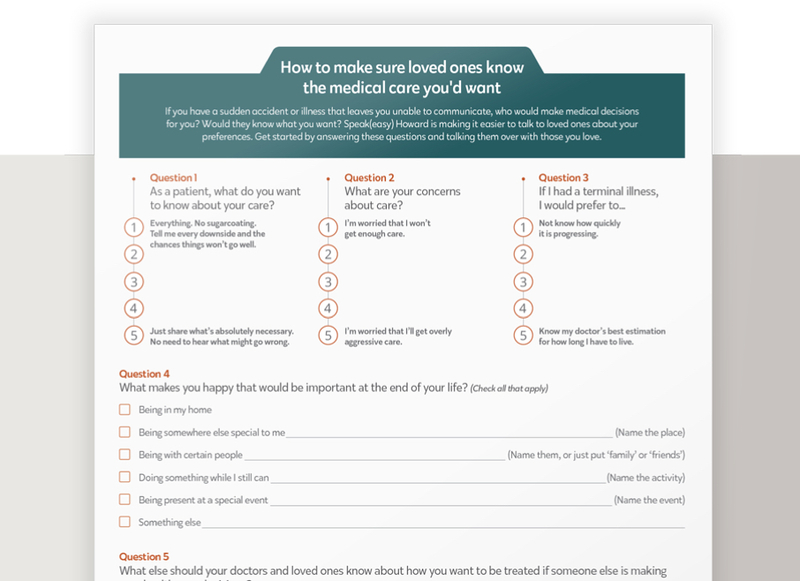 How do you talk to loved ones about your preferences for medical care? Answering six key questions and sharing those answers with loved ones is a start. Download them here and share with your audiences. Want to spread the word about the campaign via social media? 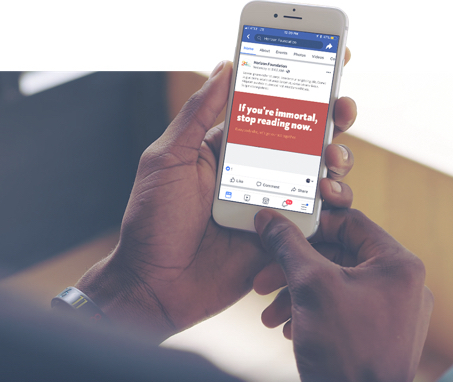 Download images and sample posts to share with your followers. Content available in English, Spanish, and Korean. If you're interested in becoming a Speak(easy) Howard partner, we'd love to talk about what level of involvement is best for you.